17 blocks from barneys has a new look and a new address. Visit our new website here. Set your radars on style because this Wednesday, Mercedes-Benz Fashion Week officially begins in NYC. 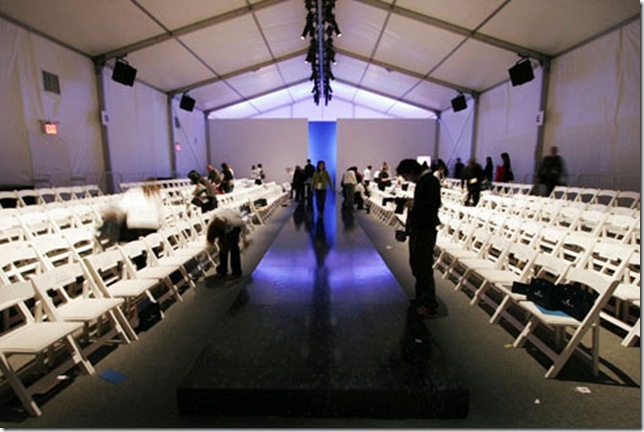 This time, for the first time, I will actually have a legitimate pass inside the tents, so keep your purty eyes tuned to PinkMemo, where I’ll be brilliantly ruminating about fall’s runways. I’ve already been to see some pre-week events that you can read all about tomorrow. Sing with me, people – ding dong ding – it’s the most wonderful time of the year! PS – if there are any fashion stylists out there who don’t mind working pro-bono; I could use some help. Vintage wares smell like grandma? Mad Men‘s costumer designer Janie Bryant has a boozy trick to help. Mix one part vodka (delicious!) 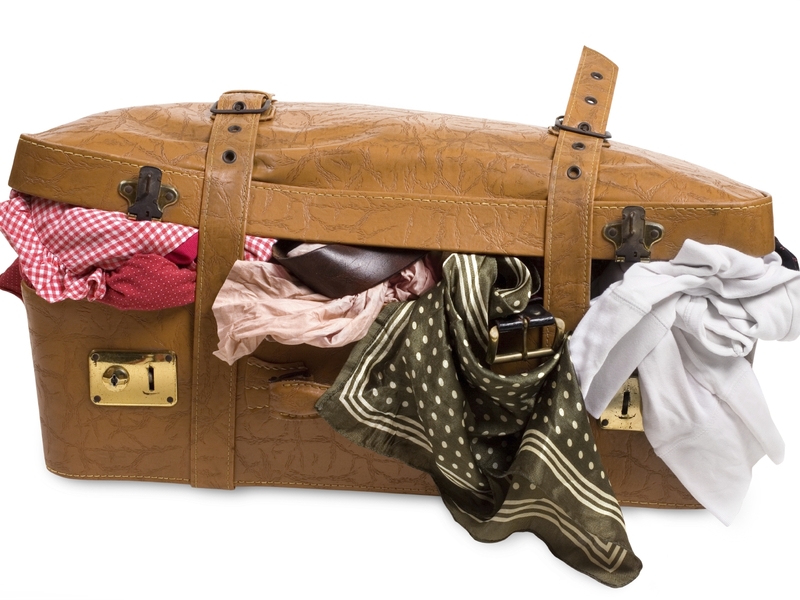 to two parts water and spray all over your new old piece to remove musty odors. Feel free to double this recipe. Half for your new tweed jacket, half for you! 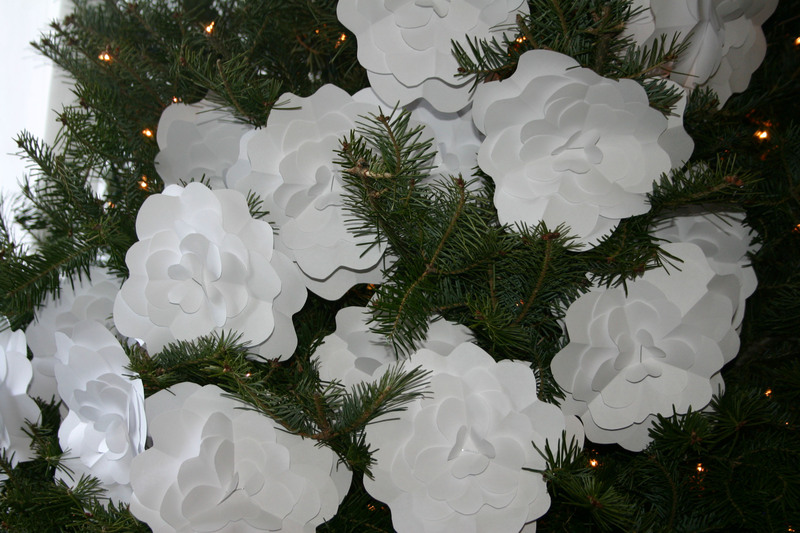 It’s Beginning to Lagerfeld a Lot Like Christmas. 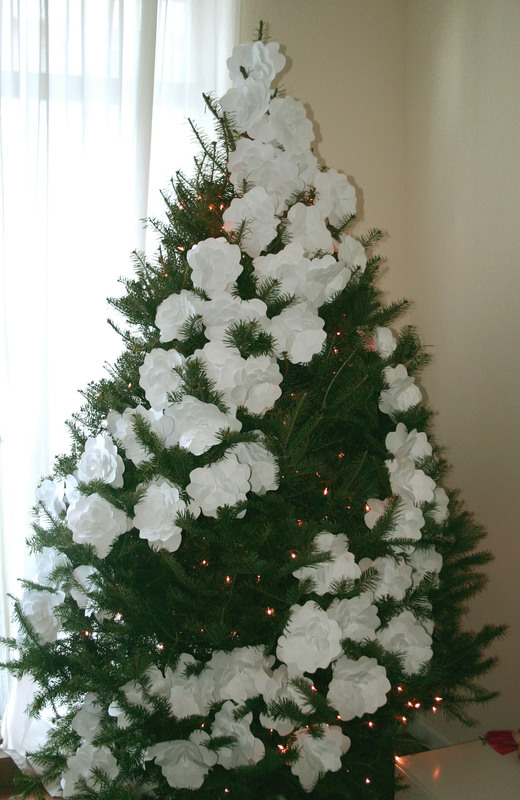 Ladies and Gentleman: I give you the unemployed person’s Christmas tree, where one stir-crazy, laid-off worker has enough time on their hands to craft 70 paper flowers and adorn them, oh-so-Lagerfeld-like, on a premium balsam beauty. Depending on HGTV’s show schedule today, I may not be finished. Executed a little less on the “couture” part. But look at this craftsman work, would you!? Were I a better photographer or Photoshop master, you’d be swooning. Have a fabulous Christmas and may your holidays be haute. Simon Doonan: the new Santa! Here’s some happy holiday news! 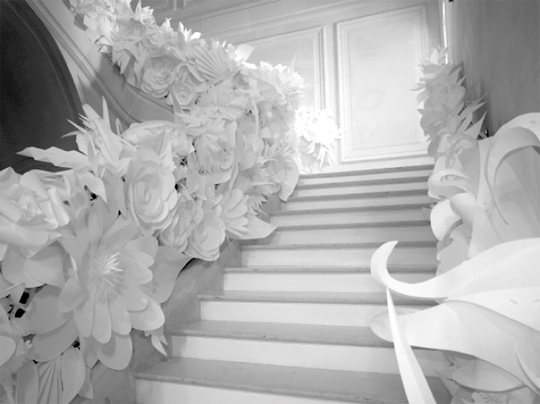 Simon Doonan will be decorating the White House for Christmas. One can only hope he holds no restraint – and that he actually has an official invitation inside. Making your holiday shopping lists? Be sure to check out my gift guide before you head out. I found the most delightful things I can’t afford! And Fabulous Finds for Under $100 (now, that’s my kind of category). Shop on, my friends. Shop on! *Add a little color to your inbox. Subscribe to PinkMemo to keep up to date with industry news, events, sales, and more! If you don’t, consider yourself living under Fashion’s rock. It’s free and easy, just click here!